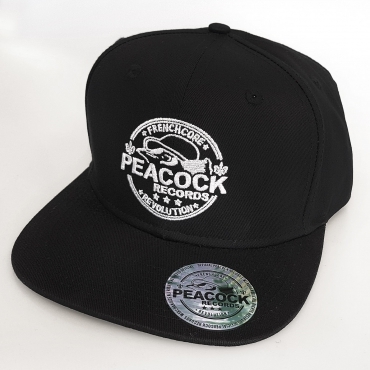 Peacock Records Snapback cap with the 'Peacoock records' embroided on the front, and 3 stars embroided in white on the backside. Dr. Peacock approved this high quality cap and it has a holographic sticker on the brim to prove the originality. The cap is of very high quality.